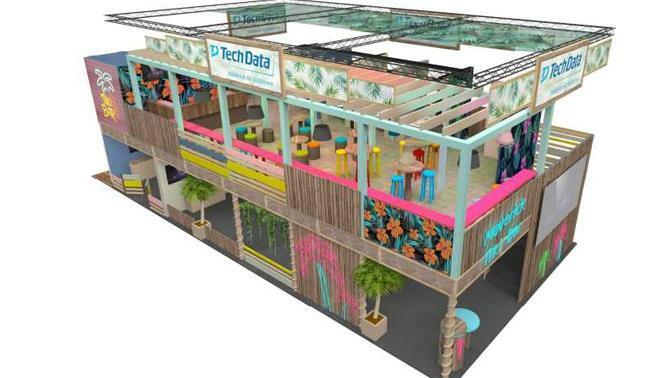 Maverick AV Solutions will return to ISE 2019 with its legendary Tiki Bar stand with more collaborative technologies than ever before. The team will be providing ten-minute journeys of the stand, to give a rapid introduction to all its technologies including Windows Collaboration Displays from Avocor and Sharp, showcased for the first time at the show. These cutting-edge technologies are designed to give the ultimate 365 meeting experience, utilising AI and IOT insight and tools to create meeting room intelligence with data including room occupancy, temperatures and engagement. The stand will also feature the leading Skype Room Systems, in collaboration booths, to give integrators first-hand experience of transforming audio conferencing and presentation spaces, into video conferencing collaboration environments. As the exclusive home to Zoomrooms at ISE, Maverick will showcase its meeting room solutions for all sizes of space, featuring leading AV manufacturers. Zoom will be on hand to take integrators through the latest developments and roadmap for the platform, which is the fastest growing video conferencing solution in the market. Dell, Google, NEC and Samsung will all be showcasing the latest interactive flat panels, with collaboration solutions from Crestron, Logitech, Barco and created by the team. Maverick’s Tiki Bar will feature a range of collaboration solutions. This year at ISE, Clevertouch is launching the ‘Enterprise Ecosystem’, an all-one-solution designed for the agile workspace. A real-time collaborative platform that enables participants to work together seamlessly in an open environment no matter where they are located or what device they are using, whilst ensuring that the company’s underlying networks remain totally secure. Connecting multiple users on a common platform is an essential goal for businesses today. More enterprise entities are deploying Unified Communications and BYOD concepts, using Skype for Business and other solutions, to enable users to overcome barriers to collaboration. Meeting spaces are evolving, with more huddle areas and open spaces for informal and unscheduled team meetings, requiring additional AV technology to connect people remotely. This way of working is becoming the norm – no longer do we need to book a meeting room or wait for availability – we can schedule a time and everyone simply logs-in from their touchscreen in the office, laptop, phone or tablet. “Enabling employees to use collaborative technology should be simple and uncomplicated for everyone. Users should decide how their technology works 0 the technology shouldn’t dictate their path. 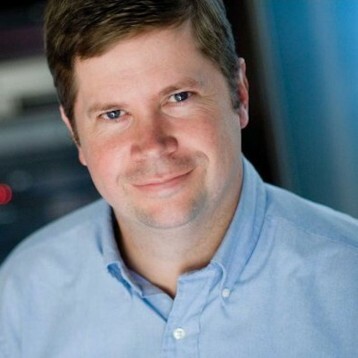 Unlock content and data from individual devices, move it into a shared workspace so that everyone in the team can access it simultaneously, regardless of whether they’re in the office or on the other side of the world,” says Shaun Marklew, Chief Technologist at Clevertouch. The feature-rich ‘Enterprise Ecosystem’ comprises of video and voice conferencing, screen sharing and mirroring, file sharing, infinity whiteboarding, remote on-screen annotation, digital messaging, instant alerts, room and meeting booking system and enterprise-wide digital signage across any connected screen-based displays – connecting multiple users on a common platform. The E-Cap from Clevertouch is the central hub of the ‘Enterprise Ecosystem’. The latest interactive display benefits from a blend of two technologies that combine IR technology and electro magnetic resonance. The two technologies have enabled Clevertouch to create an advanced, durable and lightweight display with outstanding touch accuracy and responsiveness, delivering the same user experience as a capacitive screen, but at a fraction of the cost. More and more people are meeting remotely or working wherever is most convenient, redefining users’ expectations and conferencing requirements. Yamaha UC will showcase the YVC-200 Portable USB + Bluetooth Speakerphone, designed to provide high-performance audio that goes everywhere with the user. The unit features an intelligent microphone and delivers full-duplex conversation without sound dropouts, even when multiple people are speaking at once. In addition, a powerful built-in speaker produces audio that sounds so natural, it feels as if every remote participant on the call is in the room. Yamaha UC will showcase the Yamaha CS-700 Video Sound Collaboration System for huddle rooms. Ensuring the highest-quality user experience, it optimizes audio, video, and collaboration capabilities in a simple and smart wall-mounted unit that is easy to install and deploy. It features an adaptive beamforming microphone array for perfectly captured conversation; four Yamaha speaker elements to provide the highest degree of audio intelligibility; and a wide-angle HD camera for the far-end participants to see everyone in clear detail. In addition, the CS-700’s integrated network management system allows IT staff to deploy and remotely manage each unit from one location, increasing service response and efficiency. Going beyond the traditional speakerphone, the Yamaha YVC-1000 conference phone enhances audio to achieve the best experience in medium to large conference spaces and multipurpose meeting rooms. 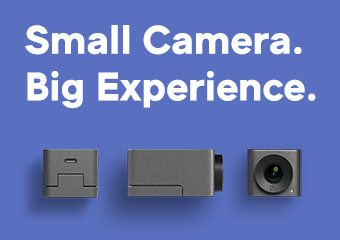 It features a separate microphone and full-range speaker unit that can be placed close to the video display, so audio and video from the remote location blend naturally for easier, faster comprehension. Its plug-and-play simplicity and auto-tune setup also allow participants to get started quickly with audio optimised to the room conditions. The use of UC applications is reaching into boardrooms, requiring equipment that can support these platforms while delivering reliable, high-quality audio that ensures effective communication. At ISE 2019, visitors will witness how Yamaha is solving this challenge with a ready-to-install professional audio system that enables participants to use their preferred UC application and collaborate with clarity while streamlining systems and installation efficiencies. The system comprises an eight-channel Revolabs Executive Elite wireless microphone package, two VXL1-16P Power over Ethernet (PoE), Dante-enabled speaker arrays with wall volume controller, a digital signal processor, a five-port PoE switch, Dante AVIO USB adapter, and cabling. Yamaha UC will showcase the CS-700 Video Sound Collaboration System for huddle rooms. Viewsonic will be showcasing over 20 brand new products including ViewBoard interactive flat panels powered by myViewBoard digital whiteboard software for education and corporate use, LED smart projectors, as well as a rejuvenated range of touch monitors. The theme “Connect and Collaborate” will be demonstrated across Viewsonic’s product line at the booth, linking various display products wired or wirelessly via the myViewBoard platform. 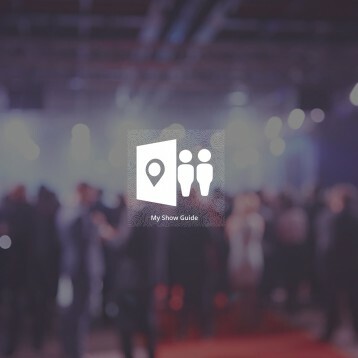 Moreover, there will be representatives on site to demonstrate how the myViewBoard solution can share and annotate content through various displays or devices in real-time across multiple locations. Viewsonic’s key highlight for ISE 2019 will be their myViewBoard digital whiteboard ecosystem, delivering the best digital whiteboard experience over multiple platforms. Designed with an open-source philosophy in mind, the myViewBoard ecosystem supports “Google G Suite” and “Microsoft Office 365” integration, making it adaptable to any company or institution regardless of browser preference, as well as a mobile app to fulfill BYOD implementations. The myViewBoard ecosystem can integrate seamlessly into any meeting space, supporting multi-location screen share from a huddle space to a large conference venue. In addition, its multi-factor authentication feature meets the highest digital data security demands. The myViewBoard on-boarding allows IT professionals to securely integrate with azure active directory for great functionality including user deployment, management, and single sign-on. ViewSonic’s latest range of smart, LED-based, all-in-one projectors has 3 models, covering 3 different throw distances, all with built-in Harman Kardon speakers. Designed to declutter your living space and maximise your screen size, each projector is your all-in-one home theatre system at an affordable price. With robust internals capable of playing 4K UHD content, ViewSonic’s latest smart projectors will have a built-in media player and Wi-Fi to stream content directly from popular platforms such as Netflix, YouTube, Amazon Prime, and Twitch. In terms of connectivity, the X series will be compatible with Amazon Echo voice control as well as Bluetooth to connect your mobile devices. Finally, ViewSonic will have a monitor-experiencing area this year at ISE where customers can try the full range of business touch monitors, ergonomically designed office monitors, as well as the flagship colour accurate VP series professional monitors. Vestel recently revealed a new display range, including a stunning new PCAP model. In a number of solutions jointly developed with Intel, using the latter’s Unite technology, which allows the user to control any display from any other connected display. Intel demonstrated a variety of possible use cases, including options for pairing its NUC and OPS platforms. Use of Intel’s vPro certified technologies will provide reassurance for uses tasked with mission-critical and compute-intensive applications used in corporate and organisational applications. Vestel has also announced cloud collaboration and digital signage solutions for the mainstream market. 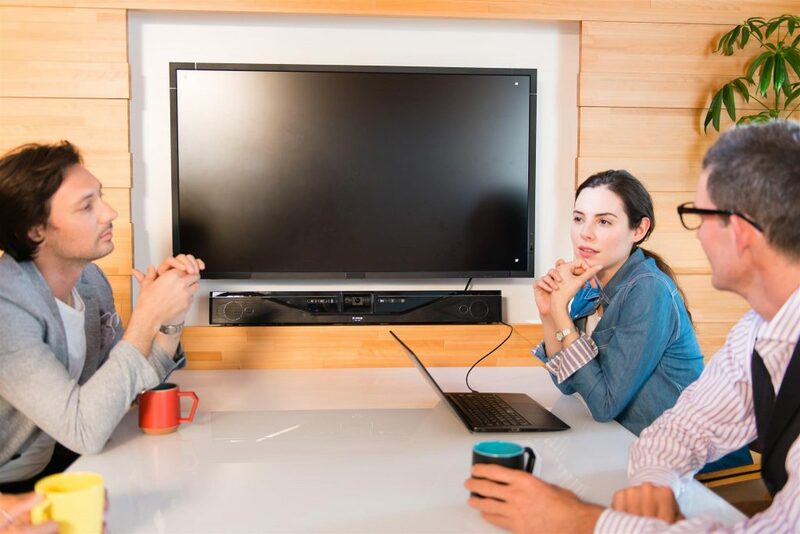 Designed with an Intel Core vPro processor-based hub, Vestel 55/65/75/84” interactive flat panel displays offer a wireless connection to Intel Unite, a content sharing software that ensures flexible and fuss-free screen sharing. Requiring no additional devices, licensing or training to use, this solution lowers the total cost of ownership, enabling businesses of every size to ensure better communication, transparency and co-operation between different departments, offices and third-party partners. Supporting wireless screen sharing across a variety of different devices and operating systems, this solution overcomes the challenge of lack of interoperability, providing a content-sharing platform that works in mixed technology environments. Delivering a flexible collaboration platform, right out of the box, it saves business owners the trouble and expense of having to standardize the various devices and operating systems that are so often used, even within the same company. This solution enables users to switch seamlessly from tablet to desktop mode, making it easy for collaborative work sessions to be scheduled at a moment’s notice and for presentations to be worked on in real time. To facilitate wider information sharing, each connected display can support up to 4 shared screens, enabling users to compare results and alternative ideas as well as formulate a top-level overview of what is happening across the business. Interesting developments and well worth visiting. Peerless-AV has announced its new, outdoor Smart City Kiosk. A modern, approachable and practical digital signage solution, the Smart City Kiosk combines functionality and aesthetics, and can endure the rigours of everyday use when unattended. 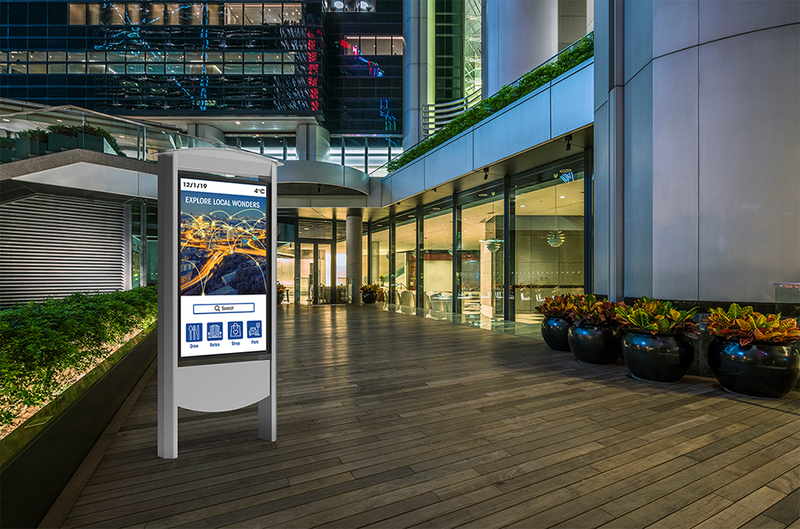 Four models are available in the new Smart City Kiosk line – 49″ or 55″ with Peerless-AV’s Xtreme High Bright Outdoor Display included , or as a kiosk enclosure only, designed for 46″ or 55″ Samsung OHF Displays. The new all-weather rated solution is ideal for sharing corporate or community information, travel and weather details, as well as wayfinding, advertising, entertainment and more. The included Xtreme High Bright Outdoor Display is IP68 rated with the widest operating temperature range in the industry (-35°C to 60°C). The fully-sealed display eliminates the need for air conditioning or fans for cooling, making it a maintenance free solution. It also has full HD 1080p resolution for a bright crisp picture, even in direct sunlight. Steel mesh on the rear panel of the Smart City Kiosk enclosure assists Xtreme High Bright Outdoor Displays with passive cooling and allows Samsung OHF Displays to exhaust hot air and intake cool air. The Kiosk’s storage area is tested to IP56 standards to prevent the ingress of dust and water and is protected with filters and cooling fans to keep outdoor rated, high-temperature components at their ambient operating temperature. Interactivity can be added to all four models with an optional plug & play, 10-point IR touch overlay, also tested to IP65 standards to protect against water and dust. BrightSign is using ISE to launch its HD and LS Series 4 players, rounding out the family. The new BrightSign HD4 and LS4 models feature upgraded player hardware and run the latest version of BrightSign’s dedicated operating system (v8.0), making them exceptionally powerful while maintaining the same price-points as their predecessors. Both players feature major updates to the HTML rendering engine, with the HD4 now offering 4K native decode supporting HDMI 2.1 and HDR10. Both the HD4 and LS4 boast even higher power efficiency than their Series 3 counterparts. BrightSign will also exhibit its more advanced XD4 and XT4 players at ISE. The XD234 and XD1034 support Dolby Vision as well as 4K video. The XT244 and XT1144 support PoE+, dual 4K video decode and 4K graphics; and XT1144 supports HDMI-In to deliver Live TV to end-points either via an HDMI cable or streaming over a network. These players deliver BrightSign’s fastest performance to-date. This is the first time the full Series 4 player line-up has been shown anywhere. BrightSign is using ISE to launch its HD and LS Series 4 players, rounding out the family. The Signagelive booth has been designed to showcase the use of its platform to deliver solutions for retail and workplace (internal) communications. Effective Workplace Communications have been proven to be directly tied to increasing employee engagement and as a result, increase productivity and company’s revenue. The company will be demonstrating how customers can use Signagelive’s cloud-based software platform throughout their business from customer-facing retail digital signage and breakroom communications, through to visualising company data on sales floors, showing KPIs in manufacturing and warehousing, and innovative reception areas. Signagelive will be showcasing triggers including emergency messaging and remote control, as well as many of our new apps and interactive room booking. NEC Display Solutions Europe will launch a range of new video wall displays that provide a stunning viewer experience for a huge range of industries and applications. From digital advertising to transportation hubs, retail to industrial control rooms, organisations are demanding displays which combine compelling visual quality with large visual surfaces. The new NEC UN Series has been engineered to meet this multi-industry demand. The new video walls are available in 10 different models, making it easy for organisations to find the perfect model to match their specific needs. 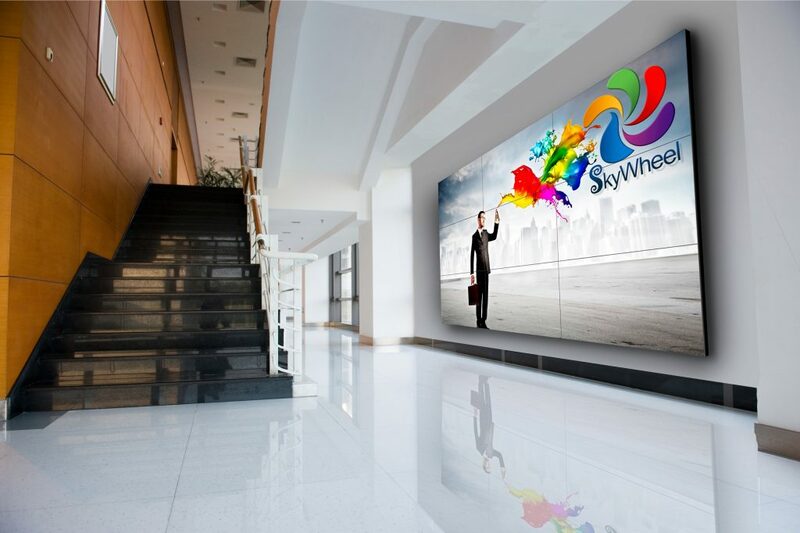 Every video wall features outstanding visual performance and powerful calibration capabilities thanks to the integrated SpectraView engine, which enables users to make fine adjustments to picture quality to match individual demands and provides homogenous colour reproduction across each display and the entire wall. SpectraView™ also makes it faster and simpler to install, ensuring system integrators benefit from lower costs and quicker set-up. The UN Series is said to provide best-in-class readability, even in bright conditions, with up to 700cd/m2 brightness and an advanced anti-haze filter that eliminates reflections. Meanwhile, a minimal inactive screen area eliminates distortion between individual screens. Each model has been specifically designed to meet a range of user priorities, ranging from low lifetime costs for long-term, mission-critical applications, to the most vivid colour reproduction for uses such as advertising and entertainment. The new NEC UN Series – available in 10 different models. The Philips Professional Display Solutions booth will be the venue for the debut of a market-first innovation for resellers. The company will also unveil an array of new models, state-of-the-art solutions and the latest bespoke system demonstrations with key software partners. Visitors will have the opportunity to experience unique end-to-end solutions and an upgraded version of the company’s CMND content and management software system. 4K and larger screen sizes will continue to be a key theme for the market-leading Philips PDS digital display range, with a new 75” version of the company’s popular high-performance D-Line series due to make its entrance at the show. The new 75” D-Line display, which is perfect for use in a range of settings including retail and public venues, will incorporate the latest (7.1.2 Nougat) version of the Android OS as Philips PDS continues its strategy of extending the Android OS throughout its display ranges. Philips PDS will also be the lead sponsor for a brand-new hospitality project award category announced during the show. Philips will unveil an array of new models. 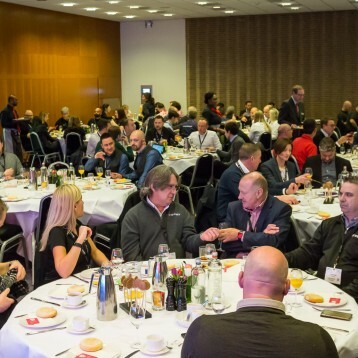 Vivitek, a brand of Delta, together with Delta Display Solutions, invites new and existing customers to Celebrate Together, as it marks ten years exhibiting at ISE and ten years presence in EMEA. To honour this occasion, both respected brands will showcase new products ranging from meeting and large venue projectors to large format display devices, wireless collaboration and digital signage solutions. One of Vivitek’s ISE 2019 highlights will be a new laser projector that boasts breakthrough brightness levels using single-chip DLP technology. It delivers a brightness performance only previously achievable when using traditional 3-chip technology. Vivitek’s new flagship projector in the DU9000 series will use laser-phosphor illumination to provide durability and colour accuracy, while the projector also comes with a choice of optional lenses to provide installation flexibility for any new or existing environment. Additionally, Vivitek will display its full range of wireless collaborative NovoConnect Solutions that bring easy connectivity and facilitate cooperation for any boardroom, conference and meeting rooms. New to ISE 2019, will be the all-in-one wireless collaboration systems including the ever-popular interactive NovoTouch panel range, which will also become available with a Capacitive Touch high-accuracy touch function. 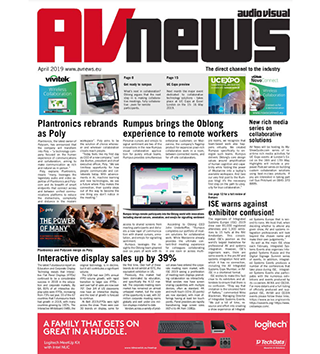 An industry novelty will be a new projector with the NovoConnect solution embedded. This completes the range of all-in-one and standalone choices to retrofit or newly equip any meeting room with the best wireless access and collaboration. Vivitek will also demonstrate NovoTouch’s new LiveScreen function, a recently added feature that provides the ability to connect up to five screens in different rooms. With the NovoConnect range delivering cross-platform compatibility – including support for Windows, MacOS, Ubuntu, Android, iOS and Chromebooks – it further facilitates the Bring Your Own Device environment for added employee and workplace flexibility. Bringing further excitement to the booth will be Delta Display Solutions’ FE Series, with its range of LED solutions for indoor and outdoor displays. Showcasing on a sample wall, Delta’s LED Wall Solutions deliver excellent image quality and uniformity thanks to their fine pixel detail, whilst being highly reliable and durable. The LED Wall Solutions excel in high ambient light environments, both capturing the audience’s attention and making for a highly memorable viewing experience. Also showcased will be a 2×2 LCD wall with a narrow bezel of 0.9mm, and a 3×3 LCD video wall. As these products demonstrate, Delta’s LCD video wall displays are an ideal solution for demanding, yet space-constrained control rooms. Delta’s LCD displays can be stacked together to achieve virtually any screen size, setting a new standard for large format, high-impact display solutions. Optoma will demonstrate its revolutionary new QUAD LED display solution, interactive flat panels (IFPDs), professional and consumer 4K UHD projectors and audio products. For the first time, Optoma will demonstrate the FHDQ130 from its new QUAD series. The fully optimised 130” (2.88 x 1.62m) Full HD LED display is an all-in-one solution for a quick and easy out-of-the-box installation. The QUAD series 4-in-1 SMD pixel format creates a smoother screen surface, wide viewing angle and a more robust design. Boasting an eco-friendly <0.5W standby mode, that conforms with ErP regulations, power consumption is reduced to save energy costs. A hugely simplified assembly process significantly reduces the installation time required – from days to hours – to dramatically reduce the total project cost. And the integrated HQUltra and media player technology eliminates the need for any additional devices associated with traditional LED solutions. At the show, Optoma will demonstrate two of its fully optimised Full HD 1080p LED display solutions – 180” 2.0mm pixel pitch (FHD20422) and 136″ 1.5mm fine pixel pitch (FHD153169). Designed, supplied and supported as a single solution, they include everything from cables to preconfigured processors. This ensures a hassle-free set-up for a truly seamless installation. They can be mounted directly onto a suitable wall without a mounting frame, which combined with front access, gives fast, low-cost installation and easy maintenance. Optoma, which is the number one DLP projector brand across EMEA*, is partnering with VIOSO to showcase a large five metre blend with four new ZK1050 4K UHD projectors. This projector featuring MCL technology (Multi Colour Laser) is the latest addition to the DuraCore range, which combines a longer-lifetime light source and an independent IP rated dust certification. Visitors can have fun on the interactive gaming platform for trampolines created by Valo Motion, featuring Optoma’s 10,000-lumen ZU1050 DuraCore laser projector. This WUXGA model featuring MCL technology is designed for 24/7 continuous operation in challenging environments. With a fully operational boardroom set up on this year’s stand, Optoma will demonstrate its latest projectors and accessories for corporate applications. All three DuraCore laser projectors on display here combine a high brightness with dust resistant IP5X certification. The ZH420UST Full HD 4,000-lumen ultra-short throw laser projector delivers 20,000 hours maintenance-free laser light source at full brightness. The ZH506 Full HD 5,000-lumen laser projector delivers 30,000 hours maintenance-free laser light source at full brightness and features vertical lens shift for easy installation. While the Full HD ZH550T 5500-lumen laser projector delivers 30,000 hours maintenance-free laser light source at full brightness and offers versatile orientation including 360° projection. 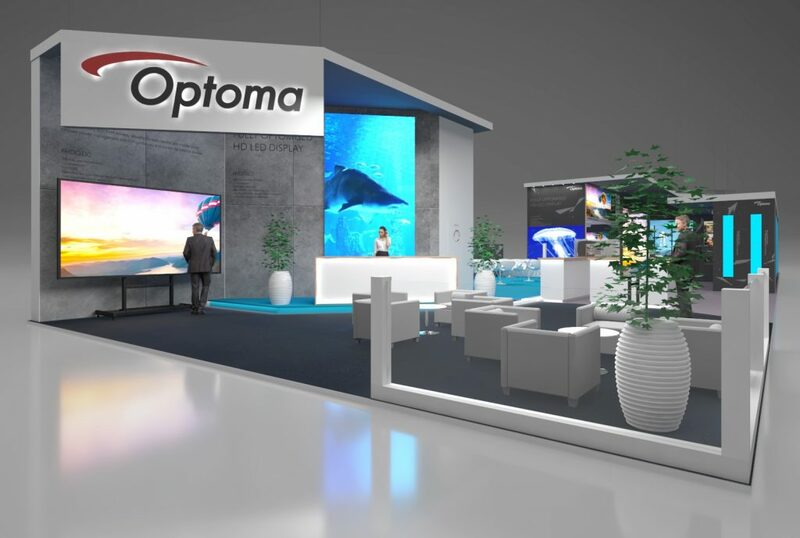 The Optoma booth will feature a full range of display options. Set to be discontinued in spring, the DZ21K introduced a new platform for 20,000 lumens and changed the projection world. Originally designed for the 2012 Olympic Games Opening Ceremony in London, it changed the potential for the rental and staging events market, and helped Panasonic’s market share in the segment reach 80%, a mark it maintains today.1 Being half the size and half the weight of other products in its class enabled giant projection mappings like the Bucharest 555 celebrations in 2014, which featured 104 units or the Guinness World Record of Projection Mapping which saw 142 units used at the Moscow Circle of Lights festival in 2015. Continuing this innovation, Panasonic introduced its first laser platform in 2014, and launched its flagship laser projector, the PT-RZ21K, at ISE in 2017, providing the same level of brightness of 20,000 lumens in the DZ21K’s original compact housing. Hermetically sealed laser modules mean the RZ21K provides non-interrupted projection for up to 20,000 hours. This provides greater reliability and colour uniformity for rental companies, reducing the maintenance burden and the total cost of ownership. A reference model for large venue and rental projectors ever since its introduction, the RZ21K projectors was used to illuminate the Eiffel Tower in the ‘Japonismes 2018’ anniversary of 160 years of Franco-Japanese friendship. In addition, six RZ21K’s were used in the performance of ‘Guidizio Universale. Michelangelo and the secrets of the Sistine Chapel’, transporting audiences in to a 270 degree projection of the Sistine Chapel to display the artist’s famous works. The PT-DZ21K projector will be discontinued in March 2019, with the PT-RZ21K currently available for purchase. 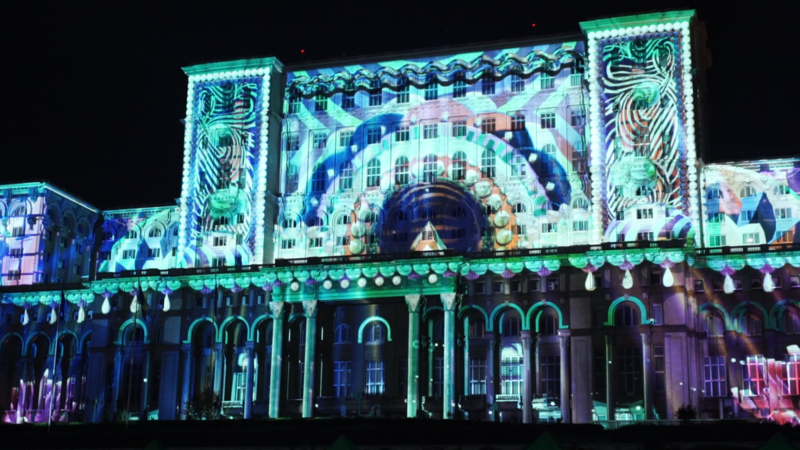 The Bucharest 555 celebrations in 2014, which featured 104 units for the Guinness World Record of Projection Mapping. Technological innovations; Customer behaviour and demand; Simplification of work processes. Evolution into an agile and expert digital company is a necessary, step-by-step process that ensures the future viability of products and services and increases the attractiveness of a company for potential employment candidates. Companies that recognise the need for this change and act accordingly will benefit from a significant increase in efficiency and quality. Bespoke solutions considerably simplify the change in strategy by companies during the digitization process. Sennheiser is continually enhancing its portfolio of products in response to the emergence of new technologies in the course of digitization. Sennheiser audio solutions are geared towards the growing demands of customers and support companies in their transformation into digitally operating enterprises. The new version of the ceiling microphone with perfected beamforming technology lets customers choose between analogue and digital DANTE™ audio output. Individual adjustments can be made over an open media control protocol (API). The solution can be controlled over the Sennheiser Control Cockpit. The browser-based Control Cockpit software is the solution for optimising digital workflows for a smooth-running daily business. It allows setup, control, monitoring and maintenance – all over a free and easy-to-use application. ISE 2019 is the place to get your hands-on training, learning and collaboration with Shure networked systems products. Among the show highlights, we will be sharing audio solutions for AV conferencing, presentations, events, and discussion. And so much more. Shure’s award-winning products exceed your audio needs. From advanced wireless and wired conferencing systems to industry-leading ceiling and table array microphones – if you need it, we have it. 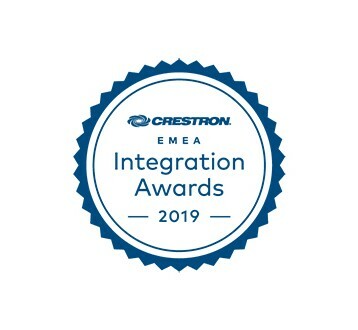 Crestron will be showcasing its latest solutions for the home and commercial space during Integrated Systems Europe 2019. Throughout the four-day event at the RAI Convention Centre in Amsterdam, Crestron will showcase its latest enterprise solutions and partnerships, offer on-site training and present at the SCHOMS event and German Hosted Buyer Programme. On the booth, Crestron will provide integrators, specifiers, and end users insight into the latest enterprise and workspace solutions as well as its network AV solutions including its award-winning DM NVX, the only complete network AV solution that supports standard network security protocols without any latency. Crestron’s bigger than ever dedicated residential stand will demonstrate its latest home solutions focussed on the speed and efficiency of deployment whilst showcasing customisation and incredible user experience. On show will be new user interfaces, such as the latest keypads and remotes, as well as stunning new shading solutions. As in previous years, Crestron will have a major presence at the show and plans four full days of new announcements, training, Crestron’s annual Integration Awards, press tour, CresFest entertainment and product news. 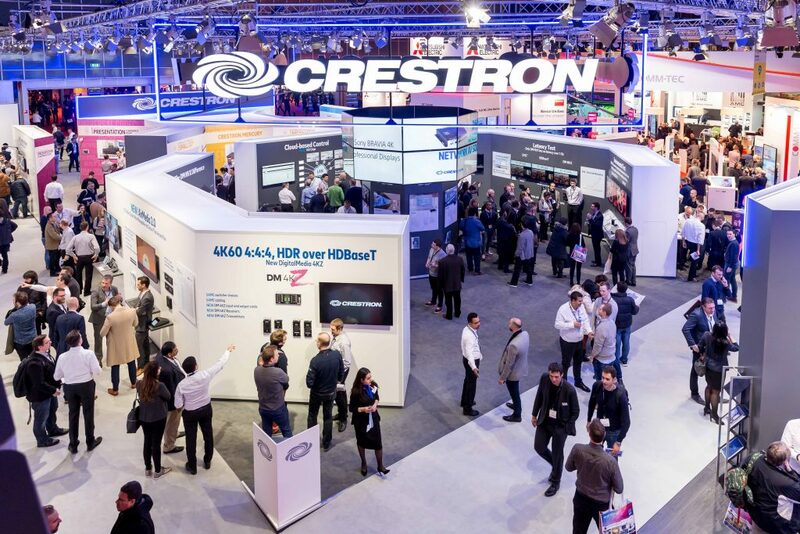 Crestron will have a major presence at the show and plans four full days of new announcements, training, Crestron’s annual Integration Awards, press tour, CresFest entertainment and product news. 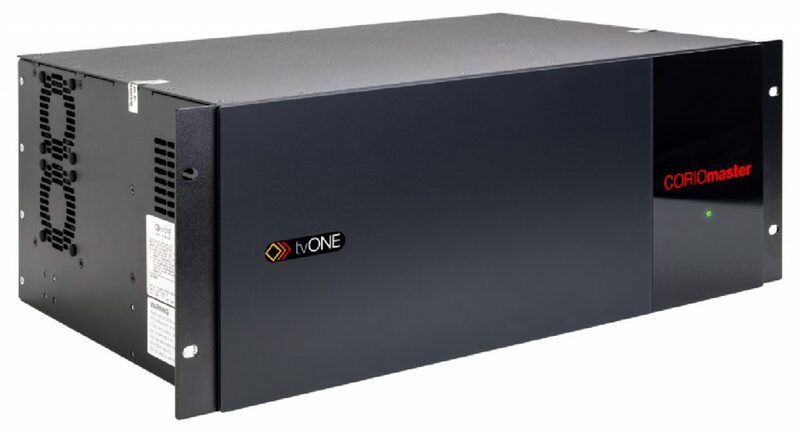 tvONE (is launching a new, enhanced CORIOmaster video wall processor at ISE 2019 (Stand 1-M140). The stand will also feature the award-winning CORIOview 4K multi-window processor and a HDMI 2.0 family of products including an ultra-thin auto switcher, a new line of active optical cables, and a new matrix switcher series. A major release of multiple enhancements for the CORIOmaster video wall processor includes a secure communication suite with full REST API and multi-user control. Other improvements include an HDMI 4-port output module (CM-HDMI-SC-4OUT), audio support for the CORIOmaster and CORIOmaster mini for embedded audio, and a dedicated audio module (CM-AUD-2IN-4OUT). Secure communication protects your installation from outside interference. In these security‑conscious times, rest assured that your video wall will only ever show what you want to show. The HDMI 4-port output upgrades your C3-540 CORIOmaster to up to 56 outputs, making massive video walls, projector edge blends, and LED installations easy and smooth. The new embedded audio support and audio module ensure the CORIOmaster is supreme when you need both video and audio in an installation. The IP streaming now accepts both H.264 and H.265 (HEVC) for higher quality and bandwidths. All modules are shipping at the time of ISE. tvONE (is launching a new, enhanced CORIOmaster video wall processor at ISE 2019. Disguise will demonstrate its latest hardware and software innovations for collaborative visualisation for the first time in Europe. Products include the next generation vx 4 media server, this has been engineered to play back video at higher quality and resolution than ever before. It is optimised for playing up to four times uncompressed 4K60 using its high-performance NVME RAID drive array. Additionally, the vx 4 offers uncompressed playback, and lossless 10-bit video, and can capture either 16 3G-SDI sources, or four 4K sources (2160p60). Disguise will also be presenting an exclusive preview of the latest version of its award-winning software, r15.2, which is used to design, sequence and control live shows and experiences. The latest release includes integration with Agile Remote Cameras’ range of PTZ cameras, enabling full control over exposure, gamma, gain modes and other settings which will be on show. r15.2 also includes a new integration with Riedel, for control of Mediornet so users can now switch Mediornet routes in the same way as switching a conventional matrix route. Integrated Systems Events and the RAI Amsterdam are combining to produce an exciting projection mapping display onto the façade of the brand new nhow Amsterdam RAI hotel, adjacent to the exhibition and conference centre. Specially created content will be projected onto the nhow Amsterdam RAI Hotel from 15.00 – 20.00 each day throughout the week of the ISE show. The projection mapping showcase will be delivered by ISE 2019 Technology Partner and media server and digital display specialist Green Hippo, working alongside hire and production experts LANG, a long-term ISE Platinum Sponsor and Technology Partner. 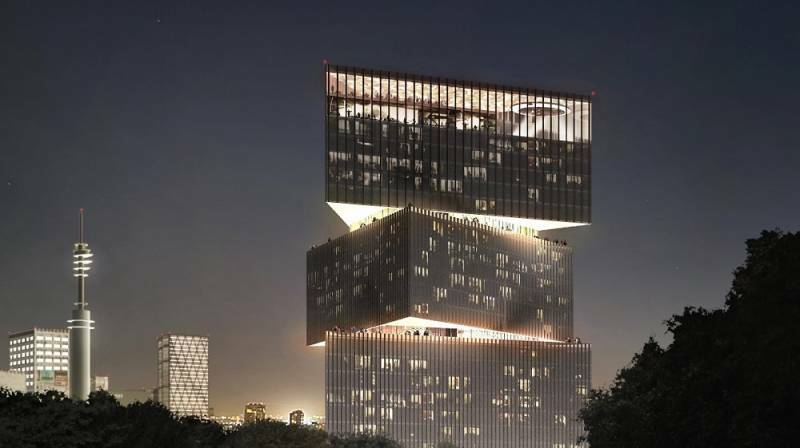 The nhow Amsterdam RAI Hotel is to provide the canvas for a projection mapping display.